Bhai Daya Singh – A Khatri by caste who stayed with the Guru until the very end. Bhai Dharam Singh – A Jatt by caste who passed away in the presence of Guru Gobind Singh. 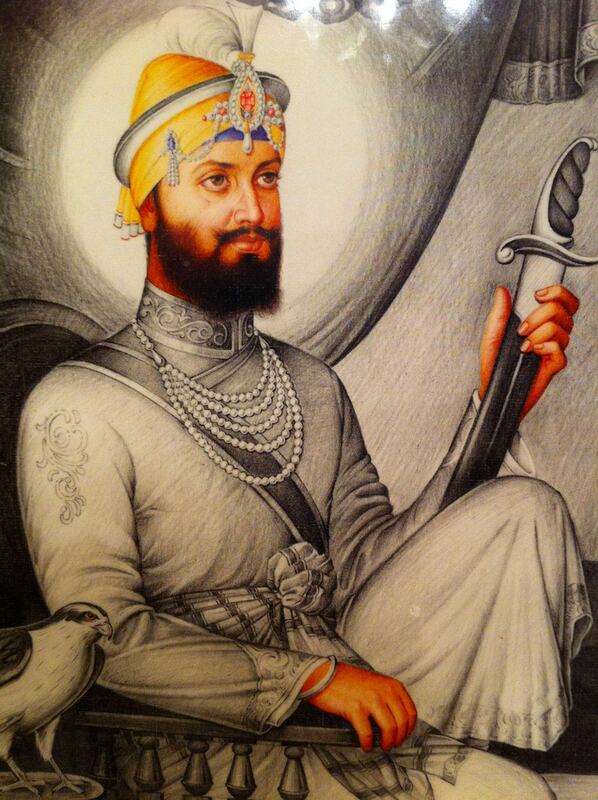 Bhai Mohkam Singh – A Cheember by caste who sacrificed his life at the Battle of Chamkaur. Bhai Himmat Singh – A Jhiwar by caste who died fighting at the Battle of Chamkaur. Bhai Sahib Singh – A Nai by caste who fought bravely to his death at the Battle of Chamkaur. Individuals who were expected to be barbers, water carriers, and farmers were now free of their ancient place in society and free to do as they pleased with their lives. We all know the momentous occasion of 1699 but the end of the caste system in Sikhi was initiated by the first Guru who was amongst the first to publicly speak out against the caste system and surround himself with followers from various backgrounds. It was furthered by Guru Angad Dev who made sure that everyone sat down on the floor next to each other regardless of caste. 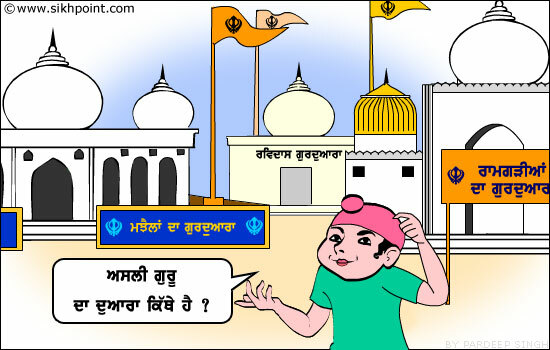 The end of caste discrimination was propagated by Guru Arjan who included the bani’s of individuals from many different castes into the Adi Guru Granth Sahib. Sikhi has been against caste based prejudice since the very first day yet in this day and age in countries such as England, Canada and the US we are still facing caste based problems. To understand why we must first understand what the caste system is. Fifteenth century India was filled with a number of states gripped in ritualistic rites and in bedded cultural practices. Long seen as a land of wealth and opportunity, the subcontinent was home to several waves of immigration from Ancient Scythian and Aryan invaders to armies from Arabia in more recent times. Each of these invaders added to the cultural fabric of the subcontinent but instead of full integration adopted a policy of staying apart, at times this was at the choice of the settler whilst at other times new groups were looked down upon by the existing social hierarchy. One well supported theory is that Aryan invaders conquered the subcontinent that was filled with a Dravidian speaking population. The invaders, taller and fair skinned created the caste system to further a purer bloodline and thus bar the native darker skinned Dravidians from inter marriage or ascending to a high point in society. This caste system became more rigid over time with the predominantly Hindu populace operating around four general castes; Brahmin, Khatri, Vaish and Shudder. These castes had specific roles to play in society and were treated according to the occupation that they were allowed to have. Society at that time determined that scared Vedic texts should only be read by Brahmins, the traditional elite and by exercising a monopolistic control over religious texts, this group ensured they were the “gatekeepers” to enlightenment. corruption, oppression and injustice. 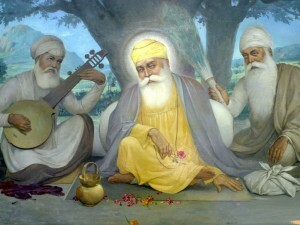 Guru Nanak stated that no single group should have solitary control of religious texts and everybody could get to know the primal force known as God. He challenged centuries long discriminations and stated that “God created light and from his omnipotence and this light all life is given energy, if we are all created from the same force, how can some people be good and some bad?”. Guru Gobind Singh, the tenth Guru of the Sikhs further aimed to end caste prejudice by giving his followers the surnames Singh and Kaur whilst stating in his 52 Hukams or commands that a true Sikh will never take pride in their youth, wealth or caste. The Shabad Guru contains many passages that show the philosophy of Sikhi in regards to caste. Do not be proud of your Caste you ignorant fool! So much pain comes from this pride. ||1|| Every one says there are four Varan (four social classes or caste – Brahmin, Khatri, Vaish, Shoodar – but) all emanate from God’s Seed (from One Light). ||2|| As the potter shapes all sorts of vessels, similarly, so is this entire universe (shaped from One Clay of God’s Light). ||3|| The five spiritual elements join together, to make up the form of the human body. Who can say which has less (elements), and which has more (elements)? ||4|| (SGGS 1127-1128). Sikhs believe in a primal force or energy which is termed ‘Waheguru’, ‘Paramatama’ or ‘Akaal’ and this somewhat corresponds to the Western notion of ‘God’ albeit with important differences. Sikh believe this force or universal energy is formless, genderless and indescribable, it can only be experienced. Sikhs term this the great soul ‘Paramatama’ whilst we have remnants of this energy inside of us, which is termed the lesser soul ‘Atma’. Sikhs believe that human beings are of the same substance as this great energy ‘Akaal’ and therefore if the primal energy has no caste then neither do human beings. 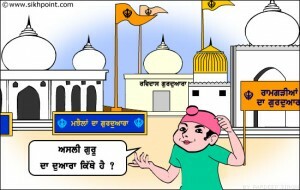 This is once again shown in the Shabad Guru. Caste is time and time again stated by the Shabad Guru to be a man created form of Maya (illusion of this existence). The name (ਵੱਡਾ ਨਾਮ) and Jaati will not go hereafter, and (consumed in these) the Manmukh suffers (sggs 514). The Shabad Guru teaches us that those who take pride in their caste and forget the universal vibration of Naam are those that are truly of low caste. By using a term from the illusion of existence, caste, the message of the creator force can be understood by us. The spiritually blind, the low Jaati , keeps wandering, comes for a moment, and departs in an instant (sggs 731). I have no Caste or honour; I have no place or home. Pierced through by the Shabad my doubts have been cut away. The Guru has inspired me to understand the Naam (Giaan…). (sggs 994). Unfortunately, culture and tradition can at times be hard to remove and their presence can eventually blur the lines between faith and belief. Although destroyed by the Guru’s the struggles of the Sikhs in the late 18th century allowed ritualism to creep back into the minds of Sikhs. This transformation was complete by the arrival of the British who used the divide and conquer tactics to ensure that the innate rebellious nature of the Sikhs was controlled by a lack of unity to be enforced via discriminatory practices based on caste. Army conscription was given to so called ‘higher castes’ was the ‘lower castes’ were barred from military duty. This created resentment and a further wedge occurred between Sikhs, one that is still being felt to this day. Our elders are those who are most likely to stick to caste rigidity as this is how they are bought up and been influenced but the caste system is once again coming under pressure, especially in the West as Sikhs show a more educated approach to their faith, understanding outside influences that have affected Sikhi. In the UK, US and Canada society does not accept caste based discrimination and therefore in the eyes of the law there is no difference. Jatts who take pride in their caste have probably never stepped on a farm in their life whilst Tarkhaans have probably never practised carpentry, this continues to further dissolve the caste system. Caste has no place in the 21st century and most importantly, caste has no place in Sikhi. We understand that different families may have different ways of doing this and may speak differently, this is no different from your family being bought up different to the family next door, however that does not mean we cannot mingle with or talk to our next door neighbours, eat with our friends or create relationships with our peers. We celebrate the fact that Sikhi encompasses people from different tribes, nations and races but we must not forget once you believe in the True Guru, all boundaries and barriers are abolished. Many argue that only when one takes Amrit is caste truly abolished. This is simply not true. A Sikh is defined as one who follows the teachings of the ten Gurus and the Shabad Guru. If you define yourselves as a Sikh then by following the teachings of our spiritual guiders it is not possible to believe in or practice caste discrimination , whether you have taken Amrit or not.